It's taking me forever to catch up on blogging about all the wonderful stuff I've gotten on Etsy. That's why this review is coming a bit late, but what can I say? I buy faster than I can blog. Bad, bad Ashy! So, for Christmas, I got some custom wine glass charms for Dustin's Grandma. They were actually supposed to be from Dustin, but I saw them and picked them out. Dustin had his Grandma for the big family gift exchange. She is quite a challenge to shop for. She has everything. When I saw these personalized charms from GlassIdentities, I knew that they were the right gift! I haven't seen any wine charms over at their house, though I've seen a whole lot of wine. And even if she has other ones, these blows those right out of the water! 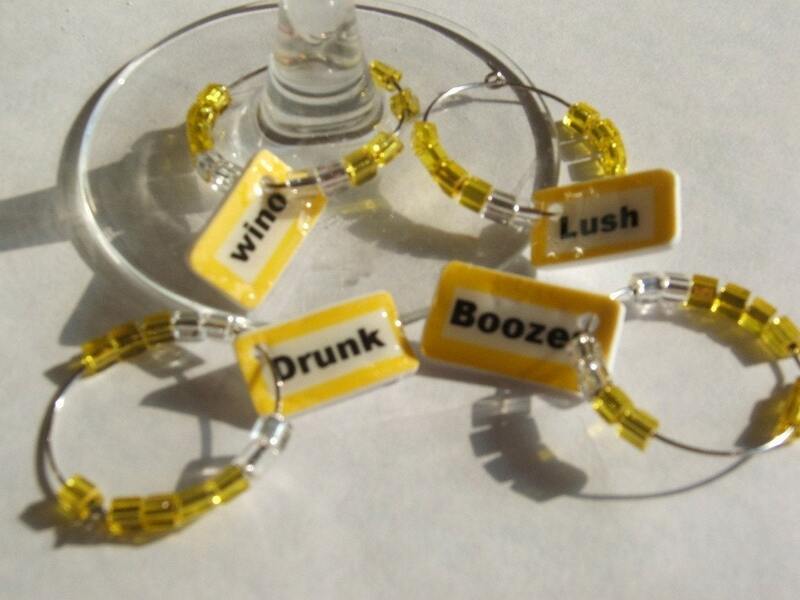 I got a customized set of eight wine charms. I got the Grandparent's names and outdoorsy stuff since they like to camp and they have a cabin in the woods. I told Michelle what I wanted and she just made it happen. It was awesome! 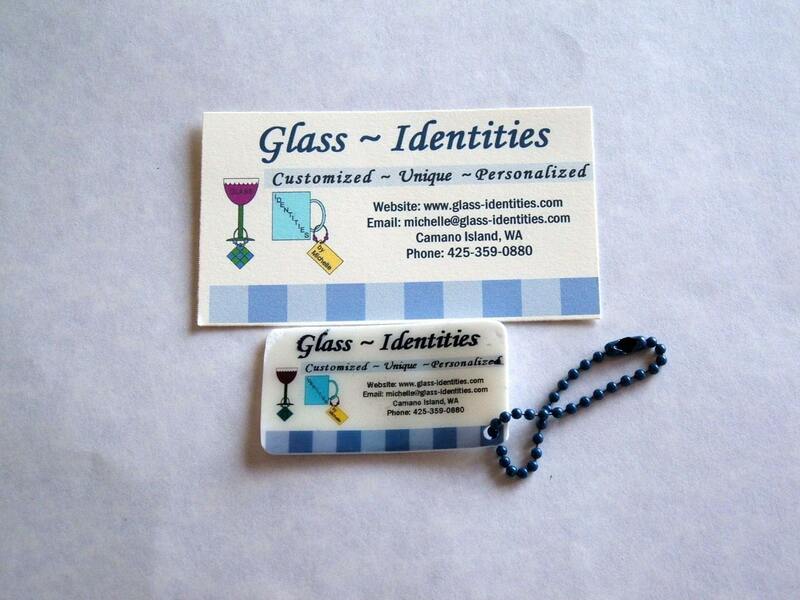 I also decided that I wanted a business card key chain like the one seen below to hook to my diaper bag. I was extremely pleasantly surprised when I received my package. Everything was packaged very well. Pictures do not do the drink charms justice! They are adorable, unique, and very fun! I knew that they would be a perfect gift and Dustin's Grandma loves them. We paired them with some goblets we got at a local store. She really liked the gift! I really like my business card too. Though it might get more attention if I used it as a key chain. I don't know. I haven't gotten any business from it yet, but I hope that it will come with time. I adore Michelle and working with Michelle! I would definitely order from her again in a heartbeat. Her work is fun and different, which I enjoy very much in this world of copycats. It's not everyday that you can say you gave a truly unique gift!